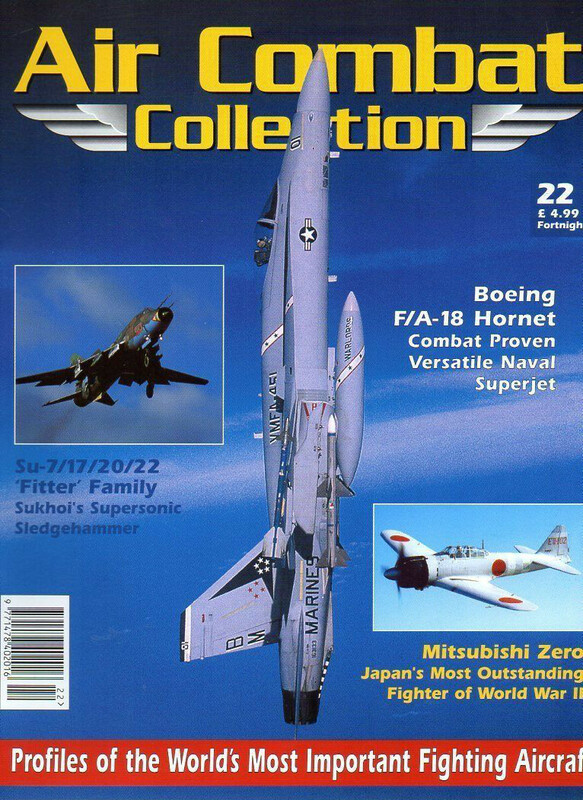 ‘Air Combat Collection’ was one of the first magazines to try the magazine-with-a-model combination that is now very popular around the world. Each 16-page A4 issue covered one warplane type from each of three eras: Pre-1945, 1946-69 and post-1970, including cutaways, technical specifications, side views, both colour and black and white illustrations, plus a cover-mounted 1/100th scale model of one of them. 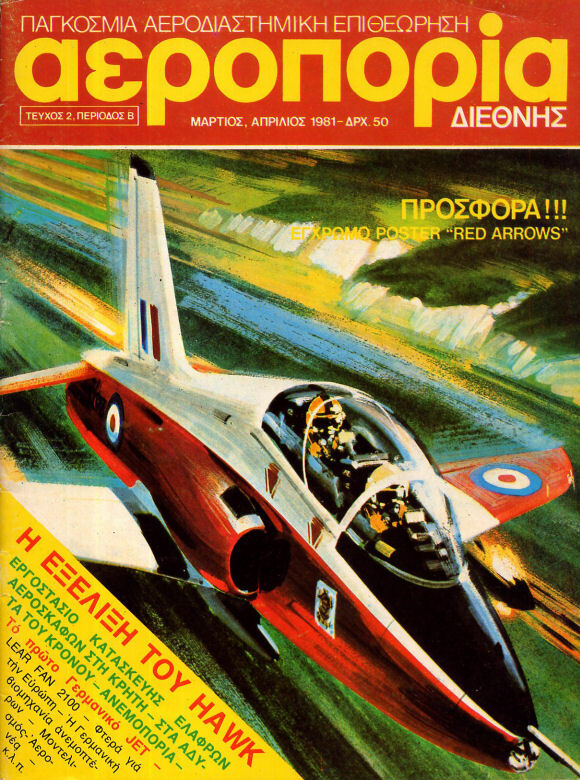 Airplane Θρύλοι και Εξέλιξη (Airplane – Legends and Evolution) was a weekly partwork magazine from De Agostini Hellas. This was based on a Greek translation of the United Kingdom partwork ‘Airplane’ from 1990. The first issue appeared in November 1997 and the complete run comprised 84 issues of 28 pages each. The last issue was an alphabetical index of the series, and appeared in late 1998. 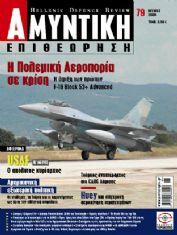 Magazine contents was related to a color code: “Civil Aviation” (red); “Legendary Planes” (green); “Military Aviation” (Blue) and “Aircraft from A to Z” (black). Each issue was accompanied by a portion of a model aircraft kit, which was completed in about four consecutive issues. Simultaneously, about every four issues was included the independent publication “Guide for good modellers” in collaboration with the model kit manufacturing company Revell. This modelling publication was completed in 12 issues. 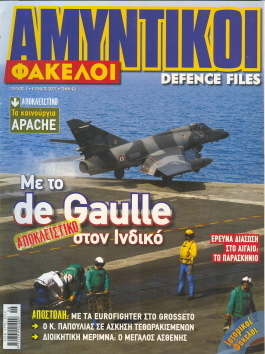 ‘Amintiki Phakeli’ also included the English subtitle Defence Files on the masthead. 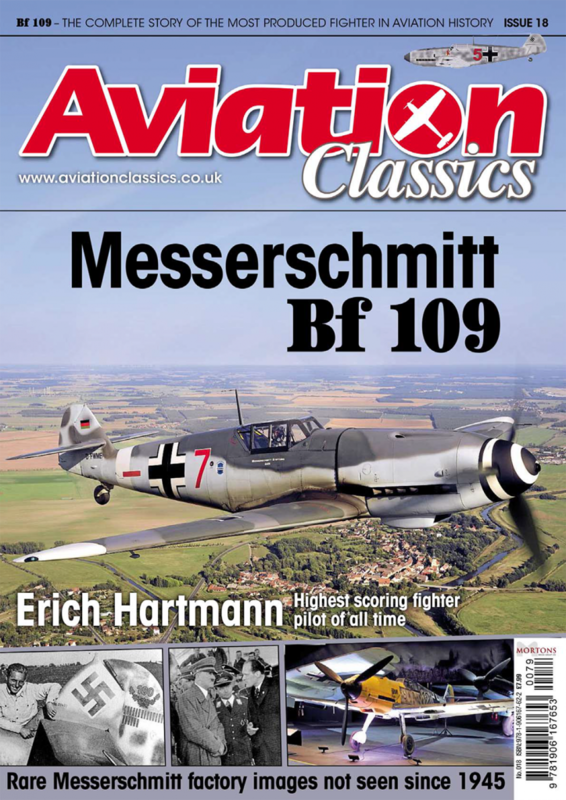 This monthly magazine included feature articles on a wide range of military subjects: famous battles, military exercises, weapons – aircraft, tanks, pistols – airshows, miitary units etc. The title ‘Aeroporia Diethnis’ means Aviation International. This magazine was a continuation of ‘Aeroporia Athlitiki’, with virtually the same design and layout. The first issue was released in January 1981. Overall 3 issues were produced in 1981 – January, March and June. After the third issue the magazine ceased publication. The first issue of ‘Aeroporia Athlitiki’ (Sport Aviation) appeared in September 1974 in a small page size (17×24 cm), with only 16 pages and wass entirely two-color namely black and cyan. 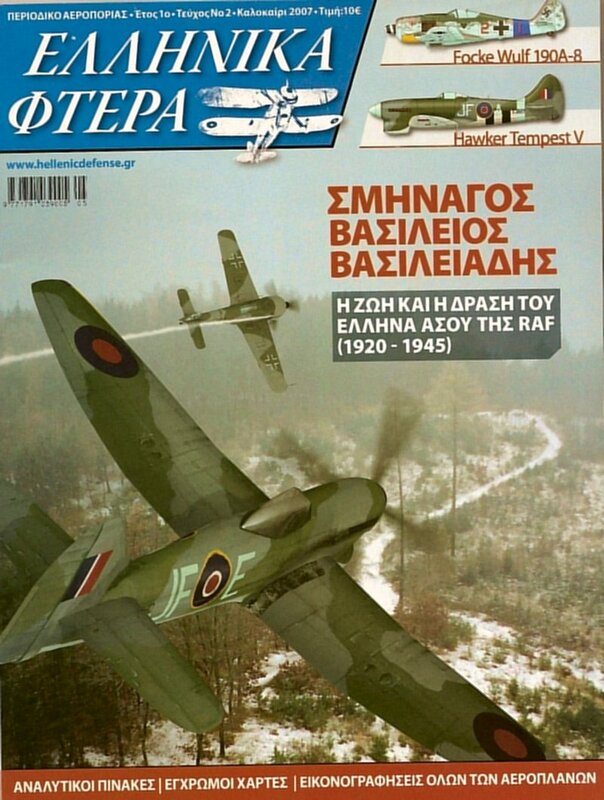 Nevertheless, it was the only magazine on gliding in Greece and the world of sport aviation embraced it immediately. In the third edition there was twice as many pages (32 pages). From the May 1975 issue the magazine introduced colour illustrations and included 48 pages. In January 1976 the size doubled again, but this time in page size, as it appeared for the first time in a large format (21×29 cm) with a redesigned cover. 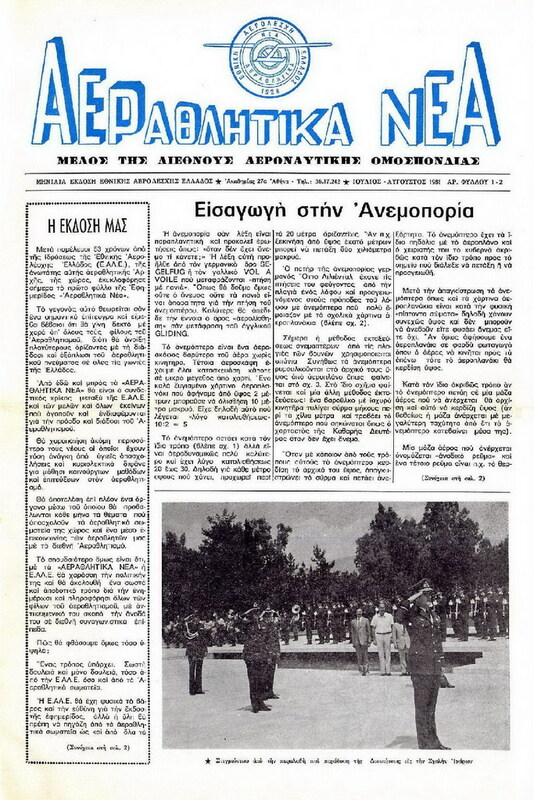 The magazine continued to be published until October 1979 with the same title by the Aero Club of Piraeus. 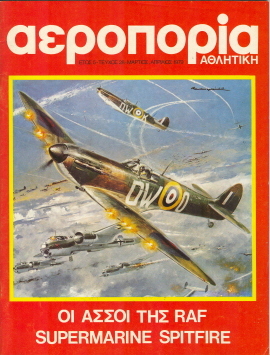 Then came two more issues with the same logo and the sub-title Sport replaced with a translation of the main title (AVIATION). The very last issue was No.33 dated February 1980. From at least issue 4 the magazine started to move away from purely concentrating on Sport Aviation and become more of a general interest magazine. 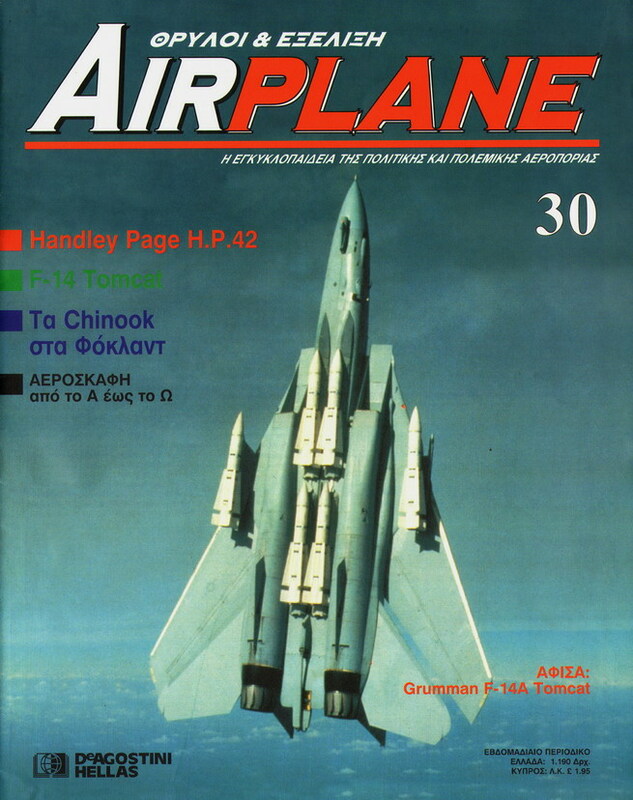 Feature articles on vintage aircraft and military jets appeared quite often. The title ‘Aerathlitika Nea’ means New Aerosport. This was a newspaper-style journal recording the activities of the National Aero Club of Greece (EALE). It covered gliding, microlight flying, flying club activities and so on. The newspaper first appeared in July 1981 with a monthly publication frequency, but switched to quarterly from issue 6 in 1982. The last of only 12 issues was dated September 1983.